Point2 Homes gives you far more than a simple list of houses for sale. Get instant access to a lot of relevant information about Kings County, NS real estate, including property descriptions, virtual tours, maps and photos. The search results pages also have a wealth of information on Kings County, NS, if you scroll all the way down. 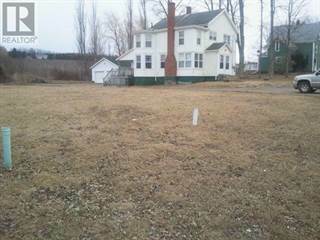 There are houses for sale in Kings County, NS. 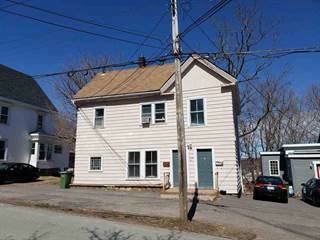 Searching homes for sale in Kings County, NS has never been more convenient. 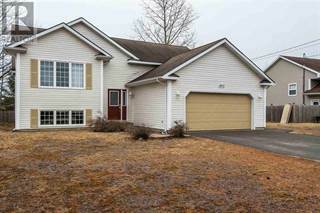 With Point2 Homes, you can easily browse through Kings County, NS single family homes for sale, townhomes, condos and commercial properties, and quickly get a general perspective of the real estate prices. Also, you’ll never miss a bargain if you filter listings based on house price drops in the past six months. Use the map view to find Kings County, NS homes and apartments for sale, based on amenities or city features that you may want close by. You can close in on a specific neighbourhood or area by simply drawing around them with the polygon or radius tools. Stay informed about the latest entries on the real estate market by saving your searches. This way, you get new listings in your inbox, daily or every week, based on your preferences. If you’d like to get in touch with a professional, agents are displayed next to their listings, and they’re easy to contact through the online forms. If you want more options, you can click the Tools tab and Find an Agent, and you’ll get a list of helpful and knowledgeable real estate agents in Kings County, NS. Visit the Point2 Homes blog and you can find up to date expert advice on many markets throughout Canada, regular market reports, neighbourhood scoops in cities throughout the provinces, real estate deals and useful recommendations. Kings County, situated in the province of Nova Scotia, sits in the Annapolis Valley on the shore of the Bay of Fundy. The area spans 2,122 sq. km, and includes towns such as Berwick, Kentville, and Wolfville. The Annapolis Valley, in which Kings County is located, is a large area spanning 126 kilometres that is sheltered by the North and South Mountains creating a micro-climate of mild temperatures and incredibly fertile glacial soil, which makes it perfect for agriculture and growing crops. The county has a humid climate with mild summers and cool winters.However, the area is prone to storms due to its positioning by the Bay of Fundy. The first inhabitants were thought to have lived in the county thousands of years ago, but the Europeans first colonized it in the late 1600s. The land has been controlled by both French and English settlers over the years, and agriculture has always been a strong industry dating back to the 1700s. Kings County has a very strong Black heritage, and the African Canadian population increased after the 1800s, so the area is still diverse to this day. Kings County is a relatively small community, and reached a population of 60,500 in 2011. 94% of the population speak English only, and are a diverse mix of primarily Canadians, English, Scottish, Irish, German, and French. Agriculture plays a huge role in Kings County due to its mild climate and fertile soil. Apple growing is popular in the county, and there are over 1,000 farms in the area which produce everything from fruit, to dairy, to vegetables. Kings County generates hundreds of millions of dollars per year through its agriculture industry, and farms have a very strong position in the community. In 2010, farms in Kings County generated over $175 million due to their strong and diversified economy. The majority of the other strong industries are labour-based, including forestry, fishing, mining, construction and transportation. Educational services, professional services and finance also account for a small portion of the county’s economy. Kings County has a lot of interesting history, and its culture and heritage forms a huge part of its tourism industry. The area has a number of historic features which attract tourists from across the country and around the world. The Grand-Pré, for example, is a rural community in the county that is home to the Grand-Pré Historic Site. The community has one of Nova Scotia’s best wineries, one of the oldest churches in Nova Scotia, as well as Evangeline Beach which boasts some of the world’s highest tides and thousands of migrating shore birds. Other attractions include nature trails such as the Reservoir Park Trail and the Hall’s Harbour Eco-Trail, the Kings County Museum, and the Oaklawn Farm Zoo which is nearby. Whale Watching and Vineyard tours are also popular nearby attractions among tourists. The primary neighbourhoods in Kings County include Wolfville, Kentville, and Berwick. Located 100km from Nova Scotia’s capital, Halifax, Wolfville is home to the Acadia University and is a very picturesque area due to its positioning by the Bay of Fundy. The neighbourhood has a vibrant culture with many boutiques and bistros. The area has a number of parks as well as a farmer’s market. Berwick is situated on the Cornwallis River and is known as the “Apple Capital of Nova Scotia”. The area used to be home to a number of large manufacturers, but now relies more on small businesses. The town centre is very typically North American with low strip malls, but the area also has a number of tree-lined streets and characterful Victorian and Edwardian-style houses. One of the main towns in the Annapolis Valley is Kentville, with a population of 6,000. This is one of the fastest growing areas of Kings County, with agriculture being a key industry. The Apple Blossom festival is hosted here yearly, and the area is home to the picturesque Kentville Bird Sanctuary. Kings County is the most expensive county in the Annapolis Valley. However, housing prices are still very affordable compared to other areas in Canada. Farm prices in particular are much more affordable than western and central Canada, so Kings County is a very desirable place if you’re looking for a large amount of land at an affordable price. Slow population growth has accounted for slow growth in Kings County’s rental market. Stagnant population levels have generally reduced demand for housing, especially for rentals. There are several elementary schools in Kings County that have been constructed in recent years to replace older facilities. There are 41 schools and 2 high schools in the Annapolis Valley area, serving a total of 12,900 students. Wolfville is home to Acadia University, an undergraduate university offering over 200 degree combinations. The university is ranked among the best in Canada for undergraduate studies, and has Arts, Pure & Applied Science, Professional Studies and Theology programs.